Target’s latest designer collaboration hit the stores (and internet) today! Marimekko is a Finnish company known for simple silhouettes and bold fun patterns. 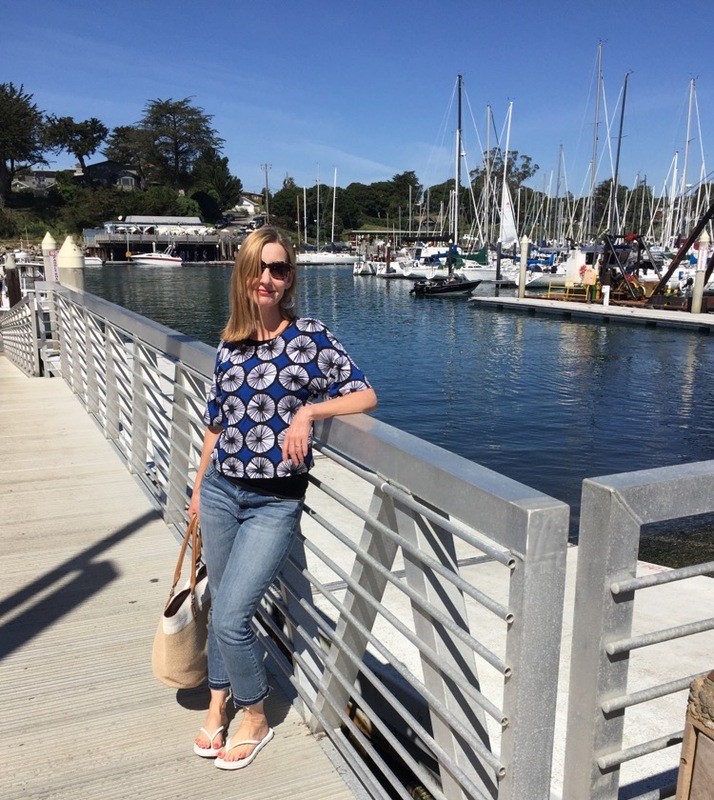 Here I am wearing my new Marimekko for Target top (Appelsiini print) to the beach today! This blue and green print was so pretty, but they didn’t have too many things with that print. 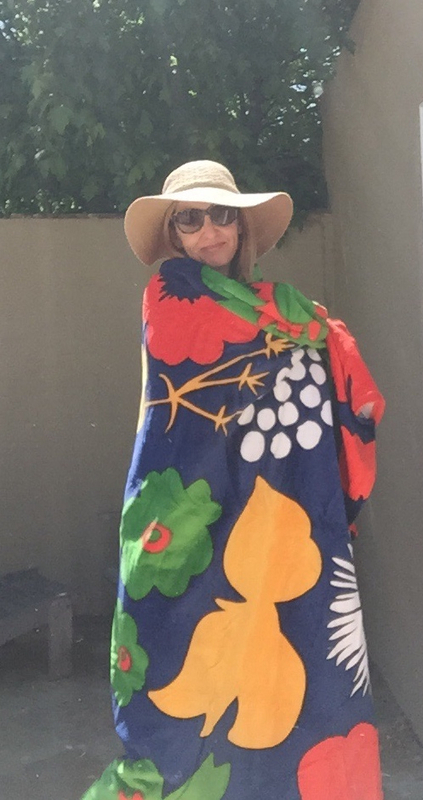 Loved this kaftan cover up and if I spend much time lounging poolside, I would’ve brought it home for sure. My biggest complaint? This Kukkatori print in the warm tones was my favorite and the collection didn’t have any clothing made with it! Here’s a cute pillow though! I also loved the Kukkatori print in primary colors and I bought this family size beach towel. This terry cloth cover up was really fun and if the pink or orange was on top (and close to my face) I might’ve had to get it, but yellow is just not flattering on me. This little dress matches my beach towel, but it felt just a bit too short for me. I would’ve loved this print in a top! This cute terry cloth cover up is a good option for those who prefer the black and white Marimekko prints. And hey, if you’re ready to look at bathing suits, here you go … the rest of us mere mortals shudder at the thought! Love the new top. The whole outfit is totally my kind of every day wear. Love the top Dawn…perfect for a beachy day! Very cute top. I actually have the same print in a scarf ( bought it a few years ago) in a different colour. 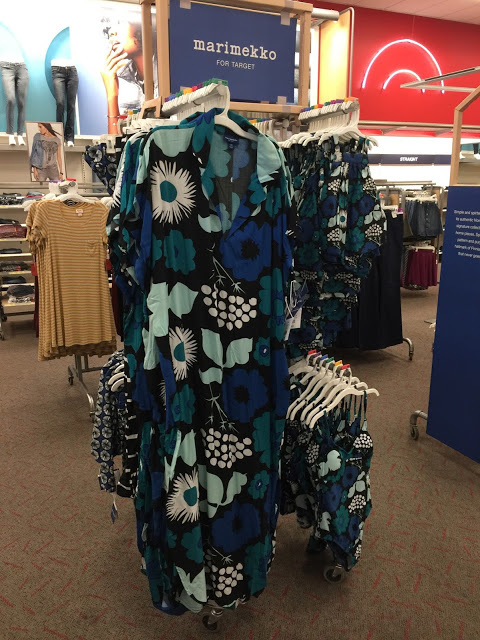 It's interesting to see the Target collaboration as we don't have Target in Finland (but there are several Marimekko stores in my town, obviously) and, like every other Finn, I practically spent my childhood wearing Marimekko. And of course I have Marimekko towels, bed linen, trays, glasses…. I heard about this collection coming, but I haven't looked at anything yet. So great to have an honest review and the too you picked would've been my choice too!! 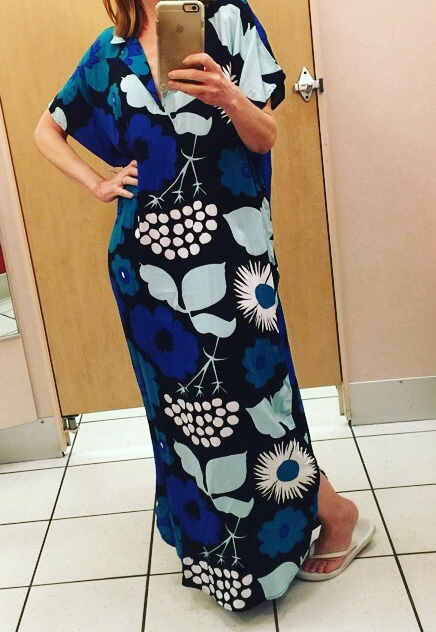 Always fun to try on new things with new patterns and prints. I hope your Monday is off to a glorious start gorgeous! It cracks me up that not many people have made a big deal out of this collaboration. Too bad that dress was too short! It was my favorite! I can't believe that they didn't make any clothes in that fun, cute pink print! What were they thinking?! I ended up buying the little colorful navy floral dress and a matching one for Vivian too. 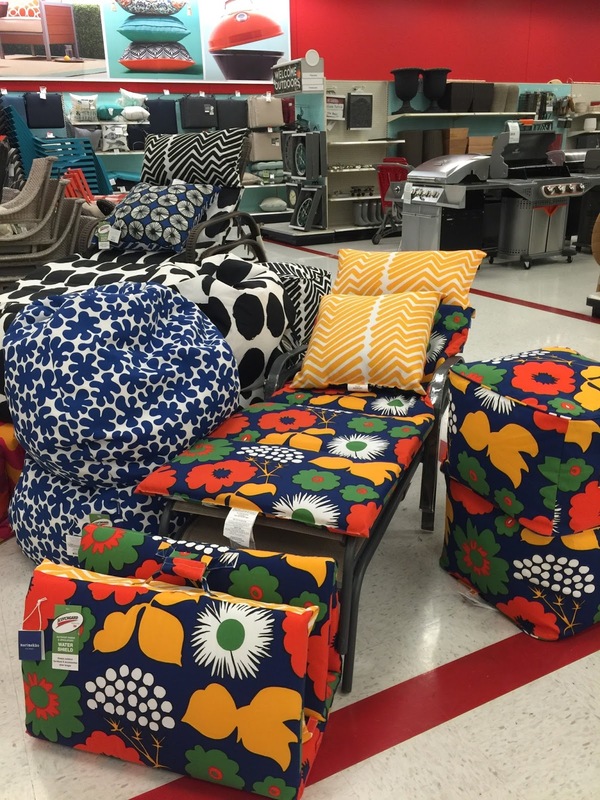 My Target had very few Marimekko pieces though. Would love to try the Kaftan and those Palazzo Pants. I did order the Applesini Top and Shorts online though. I think they will be my favorite. I kind of want the floppy hat in the bright floral like my dress, too. 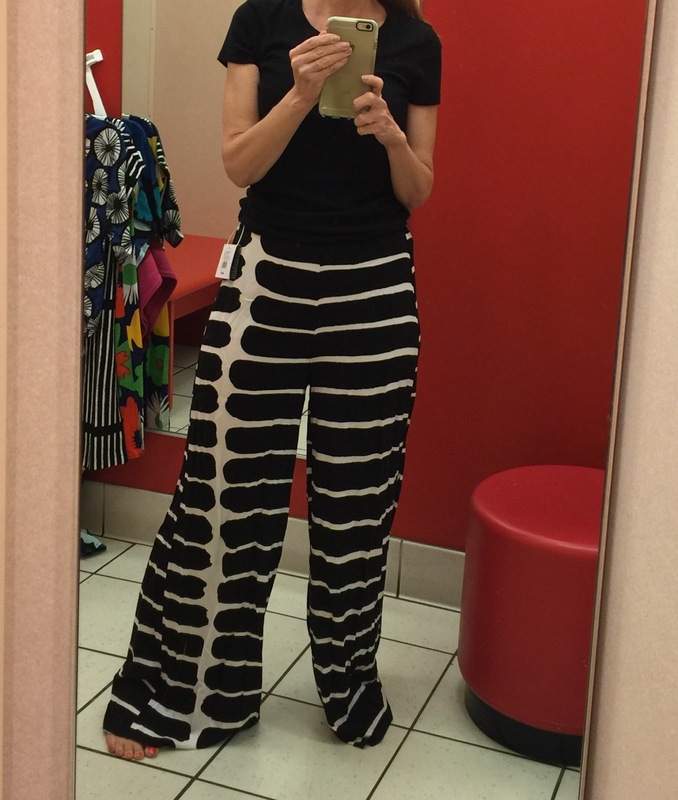 Hello, can you tell me what Brand of Jeans you are wearing with the Marimekko for Target top? Thank you! Seems like they had great stuff! I haven't heard much about it! So cute! Loving all the fun prints! The print on the pillow is so fun. It would have been great if there were clothes made with it. 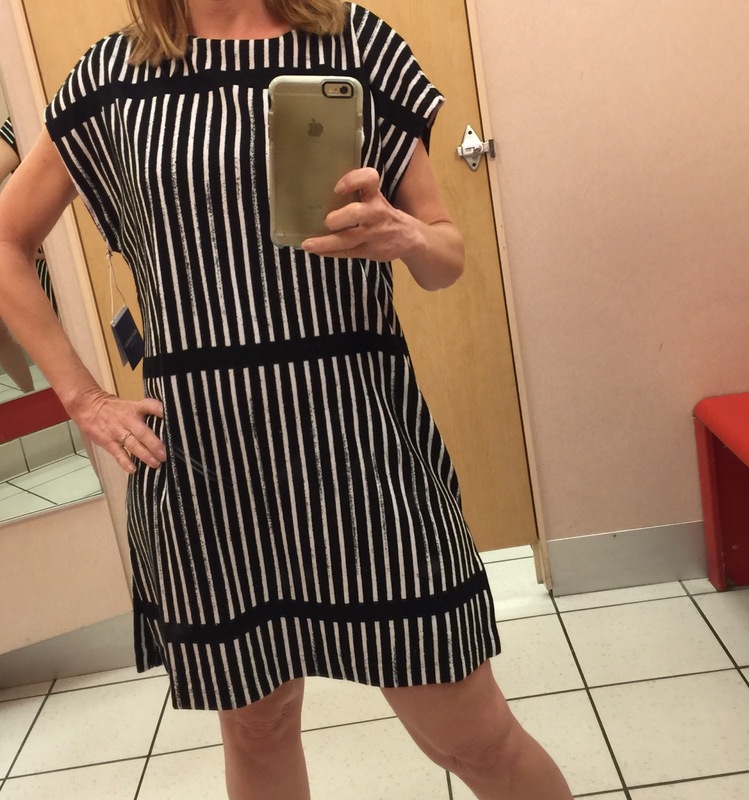 Such a fun review, I love the top you bought! I bought the same towel. My online order arrived today, I'm going to open it after the kids are in bed. We do spend a lot of time at the beach so the totes and towels should come in handy. What a fun day! I need the beach now… not until summer are we going. Love the bright colors and nice collection. I never get to Target in time for any of the collections! I love this collection. That long cover-up is so pretty and looks perfect for vacation, excellent picks! OMG! I had Marimekko bedding when I was in college and I loved it. In fact, it was almost in shreds when I finally forced myself to throw it out. Such fun things you found at Target! I like the top that you chose. Cute top and some of those dresses are lovely as well. I have been trying to avoid shopping at Target because I always end up buying things I don't need so I have not seen this collaboration in person but love the vibrant colors. I did buy a few things when they did a collab from Banana Republic a few years ago. you've done a great job of reporting on this new designer line and I love your selections. the print and colors in the top you're wearing are fabulous. thanks for linking with Powers the Flower. Target is just awesome i was bought some cool dresses from this store and i was really happy with quality, and i save also maximum using Target Promo Codes .